Our Manly West family dentist is an expert when it comes to giving your natural smile a gorgeous makeover. Veneers are made from a thin porcelain material which has been handcrafted to match the perfect shape, size, and shade you desire. Dramatically altering your smile can be as simple as bonding several veneers side-by-side, over your front teeth. You can have your dream smile without the discomfort or fuss of more complex treatments. While some dental practices choose to import their veneers from overseas suppliers, we prefer to only offer the highest-quality and most-trusted products to our patients. That’s why our veneers are designed in our sister practice’s in-house lab, allowing us to oversee every phase in their creation. We also go a step further in our veneer treatment by providing a preview of your veneers (also known as a ‘wax up’) so you can see how the final result will look. This also lets us fine-tune your veneers to ensure you’re 100% happy with your new smile. What Does Veneer Treatment Involve? You can expect the entire treatment to take place across a few scheduled appointments over a period of 2-3 weeks. Once your wax up has been created and previewed, we’ll arrange a ‘prep’ appointment so our dentist can slightly adjust your teeth and take an oral impression. 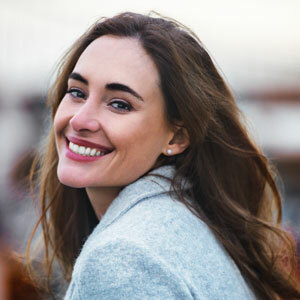 During the course that the permanent veneers are being created, you’ll be able to wear temporary veneers to avoid potential discomfort or sensitivity. Approximately two weeks later, we’ll then bond your final restorations into place, completing your veneer treatment. Caring for your veneers are simple, as they require the same treatment that your natural teeth need. Daily brushing and flossing is necessary, as is scheduling your bi-annual preventative dental check-ups. Although porcelain contains the added benefit of being stain-resistant, your veneers still need regular cleanings and polishing by our expert dental team to ensure plaque and other unwanted particles don’t accumulate. Discover how veneers can help you achieve the smile you’ve always desired. Schedule a consultation today to discuss this cosmetic treatment with our expert team.